Bruno Mars is moving on up. The “Just the Way You Are” singer has splurged on a lavish 4,000 square foot home that’s perched in the Hollywood Hills with city views of Los Angeles. 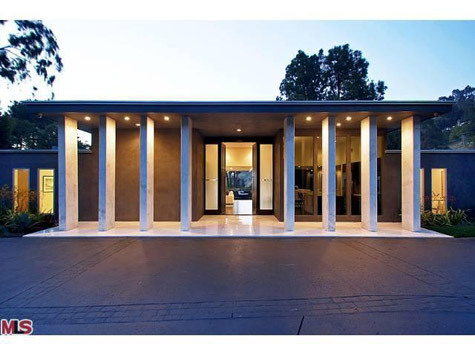 Bruno, who is readying the follow-up to his 2010 debut Doo-Wops & Hooligans, spent $3.2 million dollars on the mid-century showpiece, which boasts 3 bedrooms and 3.5 bathrooms. Decked out with Swarovski lighting, designer finishes, and a 26-foot-long family room/media lounge with second fireplace, this is the ultimate bachelor pad for the Grammy-winning entertainer. ... And since I wanted to take a peek, I'm sharing pictures of his new digs. Have You Seen? 2 Movies in India! Rihanna's Swimwear While on Vacay!